Like everything at AutoPrice Canada, our used car financing process is designed to be easy, user friendly and stress free. You can apply at our Online Credit Application Center, over the phone by speaking directly with our credit facilitators or apply in person while shopping for your new car at any of our locations. We have bank representatives on site as we work with several national banks and sub-prime lenders for all types of used car loan and used car credit situations. AutoPrice Canada specializes in all types of credit: Good Credit; Bad Credit Card Loans; No Credit Auto loans; all over Ontario. In an effort to provide all the services that our customers require, AutoPrice Canada has enlisted several banks, finance companies and 2nd chance finance companies, along with their expanded product lines, to provide our customers with the financing options that they need. AutoPrice Canada is registered with 12 financial organizations, both prime lenders (national banks) and sub-prime lenders (financing companies). AutoPrice Canada has developed a reputation within the banking community as a quality independent dealership and therefore a respected operation. We have achieved this reputation by maintaining friendly and consistent business processes. In doing so, we have been able to bring automated processes that allow us to process credit applications, on the spot, with most national banks as well as other alternative finance companies. AutoPrice Canada has the know how and decades of experience in handling credit applications for good credit, bad credit, bankruptcies and can get you approved for the purchase of used cars. We are able to take your automotive financing requests and are able to evaluate your information and send it to the proper banks in order to maximize your savings and minimize your interest rates. By having several banks and finance companies at our fingertips, we literally “shop” your loan to several banks and finance companies and select the best bank and the best rate. Carfinco also specialize in these type of rebuild credit situations. These companies offer special financing programs that also help you rebuild your credit scores and ratings while you drive your newly purchased vehicle. Currently, VFC (Vehicle Finance Corporation) offers a program where you can start to re-establish your credit or even begin to establish your credit if you are a first time credit user, by purchasing a vehicle and after 10 months of perfect payments, you can trade in your car and purchase another at a lower interest rate. 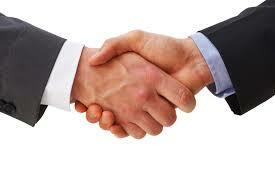 Lastly, we are able to work with special finance/leasing companies who will lease a used car to you. We have agreements in place with companies like KCC Leasing and JPL (Jim Peplinski Leasing) so that you can choose the best option for your situation. At AutoPrice Canada, everybody gets a second chance! If you consider yourself to be in 1 of the following situations, then AutoPrice Canada's Credit and Loan Department is for you: No Credit, Bad Credit, Bankruptcy, Proposal, Late Payments, Poor Credit etc… We can help you rebuild your credit scores starting today. For every person there is a different credit situation and for every different credit situation, a different credit score. AutoPrice Canada has the ability to get you approved for your car loan now. 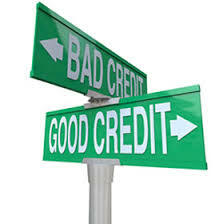 We have Credit managers that have years in experience in dealing with problem credit. 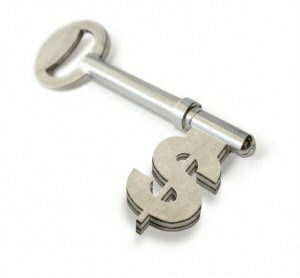 We understand that most people face financial challenges at one point in their lives or another. By understanding the changing dynamics within the credit market and the lenders requirements as well, we are able to build a case based on current circumstances that will lead to an APPROVAL right away. We convert 27% of all of our Sub-Prime customers to Prime customers within 18 months. This means that we are able to move you to a lesser interest rate on your loan! Our Car Loan Credit Managers don't stop working with you once you have been approved and chosen a car. They maintain contact with you so that we can get you into a better rate car loan in the future. Repair you're credit quickly with our help! We have developed our system to maintain a relationship with our customers so that we can move their sub-prime loan to a prime loan. What does this do for you? It is the first indication to other lenders that you have begun the process of repairing you're credit and therefore you're credit score. It allows you to replace and purchase another vehicle at a lower interest rate. *The only thing you need to do is pay your car loan on time consistently for 10 months. By submitting your email address or phone number, you allow us, Auto Price Canada, to include you on our contact lists to send you information about our products, services and promotions. You may revoke consent at any time by clicking on the "Unsubscribe" link in your email.